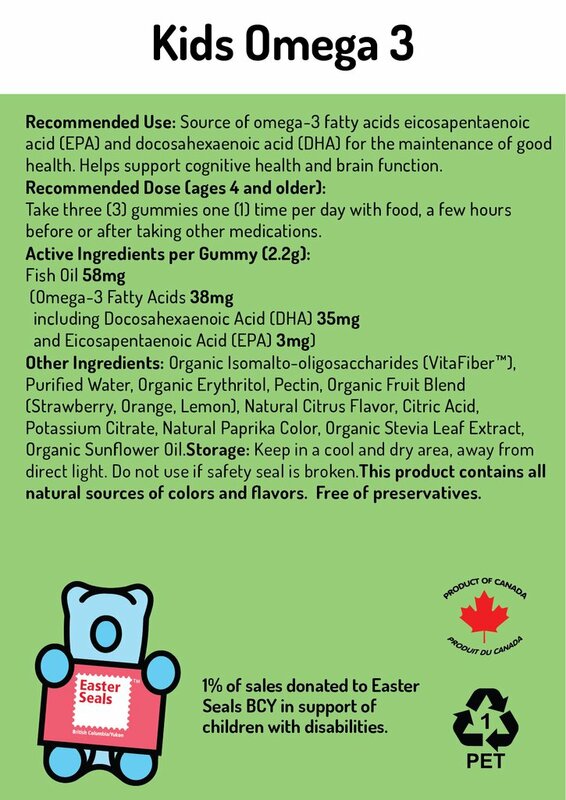 Omega 3 gummies for kids are sourced from high-quality fish oils rich in DHA from wild sustainably harvested Canadian stocks. 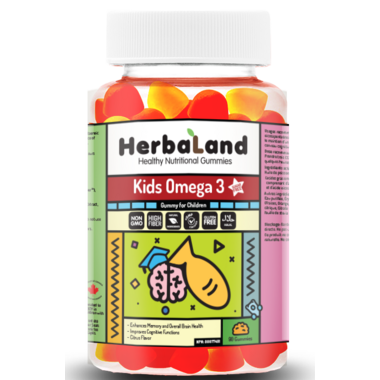 It has been specially formulated with great-tasting citrus flavors that your children will enjoy while benefiting from the essential fatty acids in the fish oils which have been proven to play a critical role in cognitive development. Our new formula has an organic sugar-free gummy base, and extra high-potency oil! Also contains: Organic Isomalto-oligosaccharides (VitaFiber), Purified Water, Organic Erythritol, Pectin, Organic Fruit Powder (Strawberry, Orange, Lemon), Natural Citrus Flavor, Citric Acid, Potassium Citrate, Natural Paprika Color, Organic Stevia Leaf Extract, Organic Sunflower Oil. These taste fresh and lemon-y and have a good bite/ chew to them. I find them a bit hard on the gut though. So if you have a sensitive GI system maybe proceed with some caution and see how they make you feel. I like the ingredients and my kids like the taste! They have an organge flavour. The texture is harder, not a soft gummy. One of my kids love them, the other took a while to get used to the texture but likes them now. I buy these instead of Nordic naturals, because we avoid pork products and those contain porcine gelatin. These do not. My son loves these. He asks for it daily even if I forget. By far the best tasting omega gummies for my children to take. They taste like creamsicle ice cream and my kids donâ€™t complain about taking them... they want more to eat.